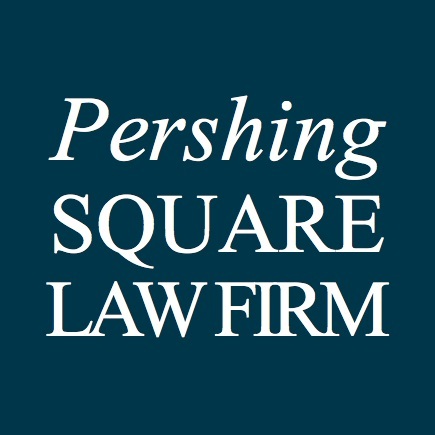 Pershing Square Law Firm, is a Los Angeles-based employee rights law firm, serving California employees in claims relating to unfair employment practices. Our practice is dedicated to the protection and promotion of workers' rights in California. We represent individuals in wrongful termination, harassment, retaliation, and whistleblower claims, as well as claims for unpaid wages. We Get Results: Experience, knowledge, persistence and proper funding are all necessary to get the most out of your case. We have them all. This allows us to challenge even large companies with fiesty attitudes. We have fought and won against some of the biggest defense firms in the country. To make the most out of your case, let us be your team. We Communicate Good communication is a hallmark of a good lawyer. We offer 24/7 secure online access to your file, where you can see us work for you. You can track the progress of your case, receive notifications, upload documents directly to our office, and communicate with your lawyer at anytime, anywhere. Team work is at the heart of our practice. We Can Play Hardball: If you deserve compensation, we will not stop until we get it for you. Period. Unfortunately, some employers try to slow down your pursuit of justice, with the hope you would give up or settle for less. We will make sure the employer is held accountable. We have the means and the ability to fight until we get a result you are satisfied with. If needed, we can play hardball. Our Focus is You: Our goal is to empower you, and to help you get your life back on track. We don't have a "typical" client. From blue-collar workers to white-collar executives, all of our clients' lives have been seriously disrrupted by their employers' unlawful actions. If you have this problem, we want to hear about it, and see how we can help. Simply click on Get Started to begin. Before starting Pershing Square Law Firm, Assaf worked at a prominent Los Angeles plaintiff law firm. His work with private individuals strengthened his belief that a career as a lawyer is an opportunity to help individuals solve some of their most challenging problems. Assaf graduated from the Hebrew University of Jerusalem in Israel, where he earned a Bachelor's degree in International Relations. He recieved his law degree from Loyola Law School, Los Angeles, where he served as a Senior Editor of Loyola's International and Comparative Law Review. Assaf developed powerful litigation skills throughout his work at the City of Los Angeles Attorney's office, and later at a Beverly Hills employment law firm. Assaf also served as a Judicial Extern at the California Court of Appeal, earning a new perspective from the bench. We Get Results: Experience, knowledge, persistence and proper funding are all necessary to get the most out of your case. We have them all. This allows us to challenge even large companies with fiesty attitudes. We have fought and won against some of the biggest defense firms in the country. To make the most out of your case, let us be your team. We Communicate: Good communication is a hallmark of a good lawyer. We offer 24/7 secure online access to your file, where you can see us work for you. You can track the progress of your case, receive notifications, upload documents directly to our office, and communicate with your lawyer at anytime, anywhere. Team work is at the heart of our practice. We Can Play Hardball: If you deserve compensation, we will not stop until we get it for you. Period. Unfortunately, some employers try to slow down your pursuit of justice, with the hope you would give up or settle for less. We will make sure the employer is held accountable. We have the means and the ability to fight until we get a result you are satisfied with. If needed, we can play hardball. Our Focus is You: Our goal is to empower you, and to help you get your life back on track. We don't have a "typical" client. From blue-collar workers to white-collar executives, all of our clients' lives have been seriously disrrupted by their employers' unlawful actions. If you have this problem, we want to hear about it, and see how we can help. Simply click on Get Started to begin. Assaf is the founding attorney of Pershing Square Law Firm. His professional experience focuses on employment law and plaintiff litigation. Assaf graduated from the Hebrew University of Jerusalem in Israel, where he earned a Bachelor's degree in International Relations. He recieved his law degree from Loyola Law School, Los Angeles, where he served as a Senior Editor of Loyola's International and Comparative Law Review. Assaf developed powerful litigation skills throughout his work at the City of Los Angeles Attorney's office, and later at a Beverly Hills employment law firm. Assaf also served as a Judicial Extern at the California Court of Appeal, earning a new perspective from the bench. 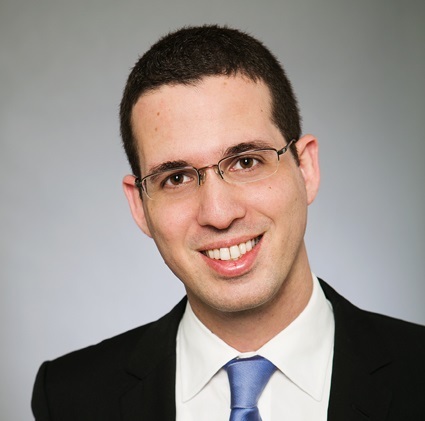 Assaf continues to serve California employees as an employment attorney with Pershing Square Law Firm, and as a volunteer with Bet Tzedek Legal Services, providing pro-bono services to Los Angeles employees.